We finally have two great, revealing looks at Vision, the Avenger only teased in the 2nd theatrical trailer for Avengers: Age of Ultron. Joss Whedon’s best kept secret… until now! The new hero appears on the new Entertainment Weekly cover and also now has his very own character poster! 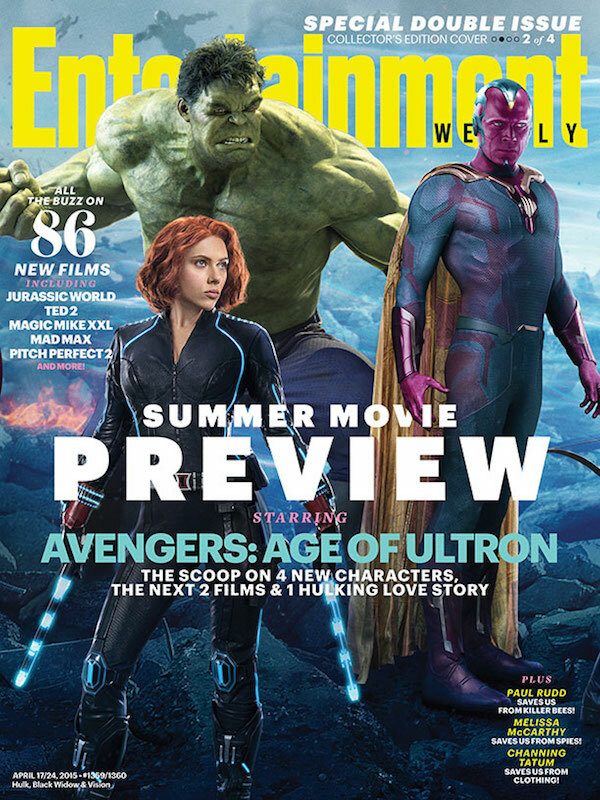 First, here is EW‘s latest cover with Vision sharing the stage with Black Widow and the Hulk. There he is! There is Paul Bettany, former JARVIS, currently Vision! For those not yet in the know, Ultron, artificial intelligence with real jealousy and daddy issues, creates a robot known as Vision to prove he too can create “life.” Of course, in the MCU version, Ultron creates Vision using Stark’s digital pal JARVIS, giving Paul Bettany the chance to escape the recording studio and join his Avenger pals on the big screen… in insane yet appropriate makeup. Seriously though, Ultron looks like a robot. Silver and such: the whole deal. Yet he creates a very colorful more human robot? Marvel be crazy! And I love it. 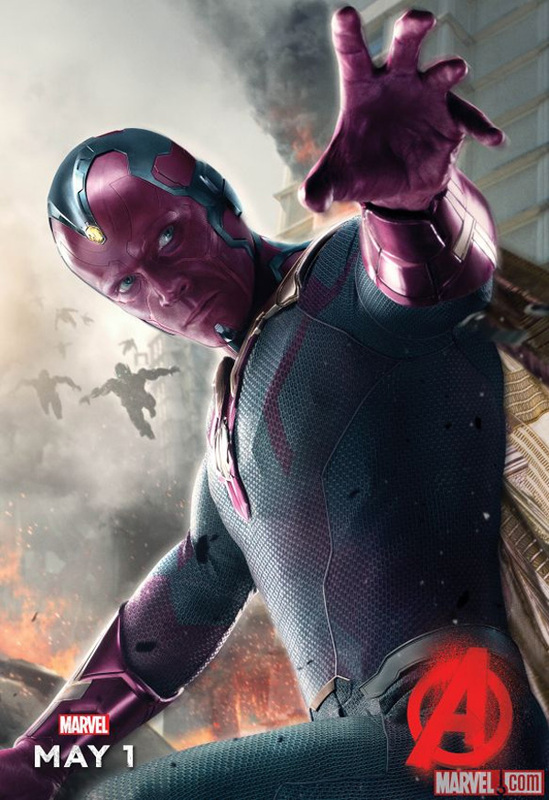 Here’s the official Avengers: Age of Ultron character poster for Vision. Check out Vision and the other 9 Marvel heroes he shares the official poster for Avengers: Age of Ultron on May 1st! We’re nearly there, fellow geeks!